There’s a lot of noise about content marketing today. Everyone’s talking about it. 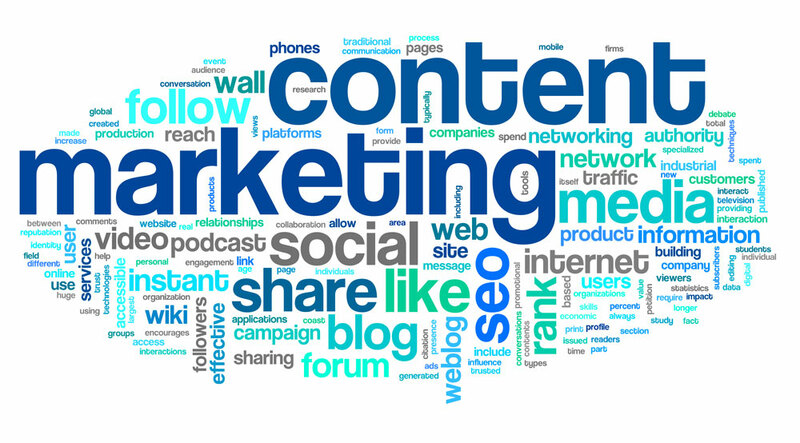 Businesses today need content marketing. It’s a critical aspect of being visible in today’s digital busy world, so why? There’s an abundance of information out there on the Internet for your customers. There’s a ton of information out there, and it’s extremely difficult for you as a marketer to get heard through all of that noise. We also live in a multidevice world. Your customers move seamlessly through their laptops to their phones to their tablet. They can carry information around with them in their pocket and access it any minute at any time in a 24/7 world. We live in a multichannel world as well, so not only are your customers accessing information on multiple devices, but they’re also accessing information across channels. What do I mean by that? Your customers are on social media, they’re on search, they’re on your website, they’re on review sites like Yelp and Google. There’s really a ton of different channels today that your customers live. As a marketer, it’s important to be present and be relevant on all those channels. What does all of this mean, all this information, these multidevices, multichannels? What that means is that your customers’ attention is really divided amongst all of these different areas, and therefore, the attention that they actually have for you and your messaging is scarce. But content marketing helps you actually break through that noise because you’re providing thought leadership and you’re differentiating your brand from all the other brands out there. By creating valuable, relevant, and educational content, you can be seen in front of your customers on those different channels, on those different devices, and really become that trusted resource through all of that information. There are a few things content marketing does that makes it so relevant these days. And those are the things you should keep in mind while planning out your content marketing strategy. Content marketing engages individuals on their own terms. This means being available and being relevant where your audience lives, so that’s that concept of multichannel, multidevice. Content marketing is based oninteractions with your buyers, so you should be creating content that is relevant to what your buyers want to hear and what they’re searching for. Content marketing should tell a story.Your content should tell not only your business story but also the story of your customers. It really does have to be a story. It has to be a narrative that’s interesting and engaging. Content marketingis the right fit for your channels. You need to create different types of content for different channels. One type of content that’s great for your social media channel might not be right for email marketing or a paid program that you’re doing. Make sure that the content that you’re creating is you think about being channel-specific. Content has a clear purpose.This means that all content that you create should have a goal, should have a purpose in mind. You’re creating content for thought leadership, brand awareness, lead generation, all of these things. Make sure it has a purpose. Content marketing has pre-defined metrics.You should be creating content with end goals in mind, whether that’s x amount of new customers, maybe it’s new followers on your social networks. Whatever your pre-defined metrics should be, make sure you determine those before you go in and actually create that content. Content marketing is almost always evergreen.When possible, create the content that will last months, or better yet, years.